Hello and a very happy 2010 to everyone. I am having a very nice unexpectedly quiet and domesticated weekend thanks to the snow. I should have been teaching this Saturday but all classes have been cancelled due to the bad weather so instead I have been concentrating on knitting and making soup! We arrived back from the sunny shores of Spain on Weds – a little late but safe and sound into a very snowy Manchester Airport. We are now once again fairly snow bound here as our road is pretty bad and the pavements icy but we are near the main road and buses are running and I have been and stocked up with food and lots of soup making and baking ingredients so will not go hungry! More snow arrived today and more is forecast for Mon and Tues so who knows if classes will be running this week! 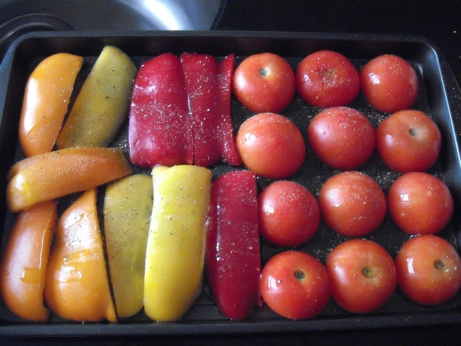 At Jake’s request I made Tomato and Red Pepper Soup from my Covent Garden Soup Company Recipe book yesterday – doesn’t the veg look pretty ready to be roasted. Today I have made Cauliflower and Roquefort using the Delia Online recipe (Jake didn’t want any of this one though it was lovely!) Tomorrow will be Parsnip and Sweet Potato (a variation on Nigella’s Butternut and Sweet Potato recipe) using some of my left over veg from before we went away. Am also planning to cook the Cranberry and White Chocolate Cookies from Nigella’s Christmas book that we didn’t get around to doing on Xmas Eve. Have been spending some more time knitting just recently and have decided that 2010 will be my year and improving my knitting skills. In terms of knitting for re-enactment purposes I would love to be able to knit my own socks, stockings and hats so need to get really good with double pointed needles and know how to turn a heel before I can attempt these feats! My fellow knitters at the Woolly Minded and Beady Eyed knit groups assure me that socks are really easy once you can understand the pattern so I shall aspire to master that this year. 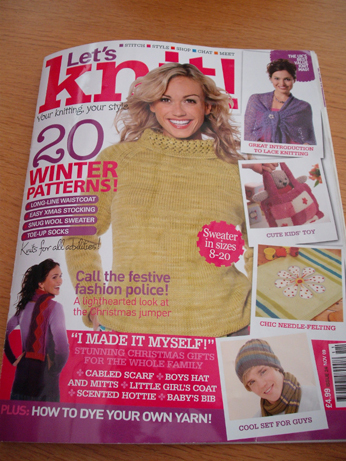 I have just come across an online resource about historical knitting – from this month’s Let’s Knit mag – called Knitting History so will be looking at that for info. I do know of a very talented woman called Sally Pointer who I met through re-enactment who makes all sorts of lovely knitted and felted items as well as cosmetics. She has a web site where you can buy her very informative books and patterns and I have just discovered her blog Wicked Woollens as well so shall be reading that as well for inspiration. 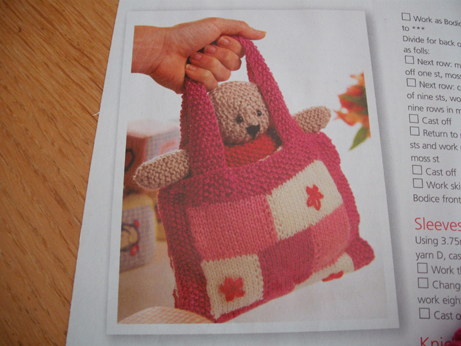 It is a very cute little bear with a knitted dress that has a bed that folds up to be a bag that the bear can be carried round in. 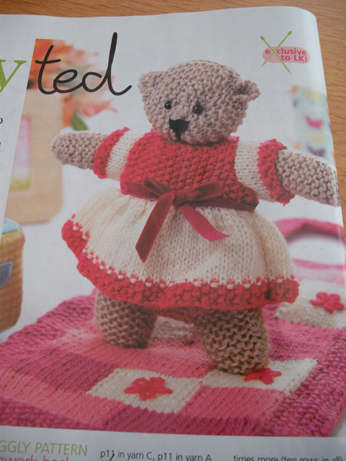 The very cute teddy …. 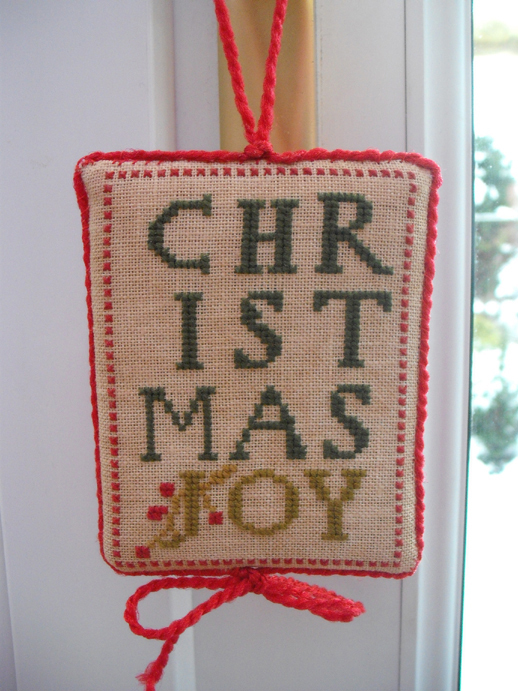 I have altered the design slightly by chain stitching around the edges of the border and all the rectangles in an attempt to neaten them up! 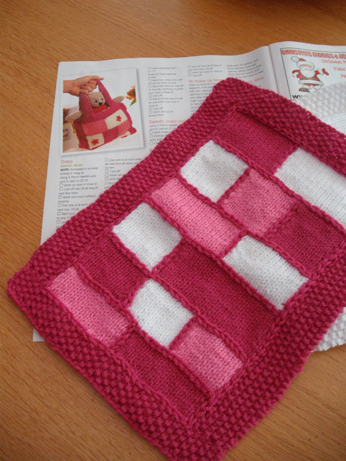 The pattern has not been too difficult to follow though there were no instructions on how to prevent getting gaps between rectangles when you swapped wools but I remember reading somewhere about twisting the wools together at the back on each row and that worked. I really like doing Moss stitch which is all around the border as it has such a pretty effect. I was very pleased yesterday as my long-awaited ASOE Xmas ornie from Marlene in the US arrived. I was concerned as I knew that she had posted it well in time for Xmas but what with the volume of post and the weather issues here it took a long time to come! But it was worth the wait. It is really lovely so thank you very much Marlene – I have taken the tree and all the other ornies down but this one is going to stay up for a few weeks and have its five minutes of fame! I hope you all had a very Happy New Year – we had a lovely (warm!) time in Spain and I will be posting some pics of that later on. I hope that 2010 is going to be a very good year for you all. I had a really good 2009 thanks to my lovely family and friends and am really looking forward to this one. Thank you to all those people who have visited the Xmas newsletter page to read the summary of our year. It is always particularly significant having a new decade and this one is going to be very full of big changes for the family – all very positive and lovely ones. Jake will finish school this year and hopefully go on to 6th form college and Ellie is very well settled at Uni. 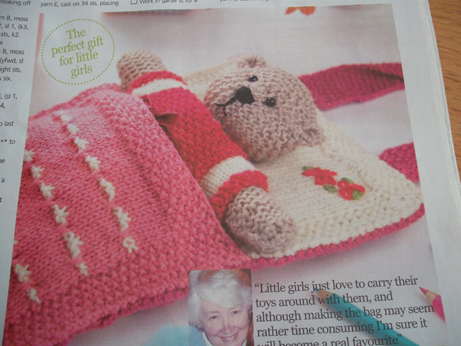 Who knows I might even be a Granny by the end of this decade – more things to knit! The 1990s were very much about the kids for me – Ellie being born early in 1991 and Jake in 1994 and the 2000s very much about work and career as I started my full-time job at the University in 2001. So this next decade is going to be about my new roles as I concentrate hopefully more on developing my ideas for my textile business. I am not in position to do much at the moment but have made a resolution for 2010 that I am going to produce a design from scratch based on my pictures from Spain. This is just the tiniest start but who knows what might happen! Thank you for visiting, hope you are not too cold or snow bound and Happy New Year!